PhysAssist makes physics simulation a breeze, by automating the boring stuff and leaving you more time to create. Traditionally, if you wanted to create a physically interactive scene this would be done by duplicating your objects until you have enough. I don’t have to tell you how boring it is to duplicate 1,000 cubes. Want to make 2,000? That’s twice as bad. After all that, your job isn’t even over. That’s when you have to start thinking about the physics. And you know what I’ve learnt in my 3 years creating physics simulations for YouTube? Getting the right physics settings is a real pain. You have to worry about a huge range of hard-to-understand settings and getting them all right can take forever. My YouTube videos rely heavily on these sort of physics, and before I created physassist I would spend around half an hour creating each individual structure for my videos. It goes to say that blender isn’t well suited to creating awesome physics scenes. But I Can Use Arrays, Right? Some people turn to array modifiers when building large scenes, and this speeds things up (a bit). The thing is, array modifiers introduce their own range of problems. Once you’ve applied the modifier, you’re left with one object that you have to separate into loose parts. Whichever way you choose to create your physics scene, you’ll have to spend time tweaking the settings to get them right. Even after creating these videos for years, I still end up with strange problems that can take a long time to identify and fix. When it comes to rigid body simulations, physassist takes care of all the boring stuff for you. 6 unique structure types and unlimited customisability gives you the freedom to create the physical structure you want. Just choose the type of structure, customise the dimensions, and hit “build”. Want to knock down your building? That’s even easier. One button creates a sphere that is fired directly at your building. PhysAssist lets you stack buildings on top of each other, for unlimited customizability. Just create two KEVA Plank towers in the same location, and the plugin will intelligently add your second building on top of the first one. This sequence was not spend up and no steps were skipped. Stacking adds a whole new level of control over the buildings you can create. There’s one particular physics structure that’s always been a pain to create – round towers. First, you have to decide how many planks you want to have in a circle. Then, you have to arrange them in a rough ring, estimating the angles and distance between them. If you’re lucky, the ring you’ve created is roughly circular. If it’s stable, you can then duplicate the ring, stack it on your first ring, and create a cool scene with it. A lot of the time, you can’t. Without precision, it's hard to create a stable round tower. PhysAssist handles this all for you. The “Round Tower” construction type lets you choose how wide and tall you want your structure to be. It then calculates all the necessary distances and angles with mathematical precision. Spend less time worrying about the minutia and more time on your awesome project. Create round towers with any number of sides. 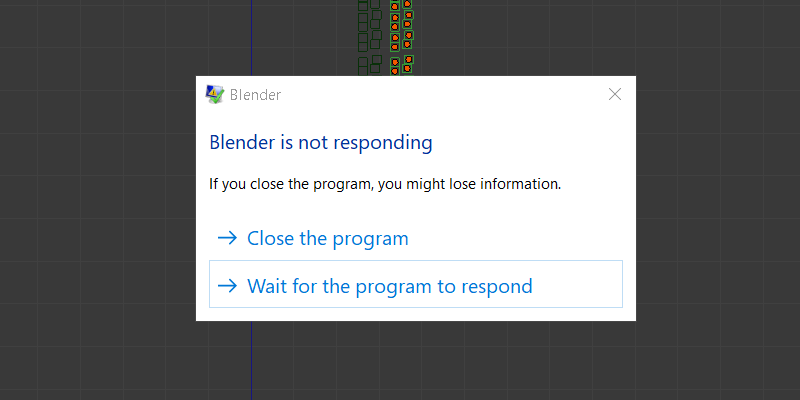 One pain about manually creating physics structures is that they often crash your computer. That’s because it’s hard to predict how complex your structure will be until you’ve completely visualised it. This isn’t an issue with PhysAssist. PhysAssist dynamically calculates the number of objects that will be in your structure, so you know how complex it will be before you create it. Use it to create scenes that won’t slow down your computer. Either that, or use it to make bigger scenes than you’ve ever made before. PhysAssist is intended to be incredibly easy to use, but please read this to familiarise youeself with the basic functionality. 2. Click "Install From File"
3. Navigate to the directory where PhysAssist is placed, and select the .py plugin. 4. Hit Enter or click "Install From File"
6. Click "Save User Settings"
PhysAssist can be accessed from the physics tab of the toolbar. 1. If you don't see the toolbar to the left of your 3D view, press "t" while your mouse is hovered over the 3D view. PhysAssist was built from the ground up to be as intuitive as possible. The best way to learn it is by experimenting to get the best results. 2. Different types of towers have different settings - for example, when building a "Classic KEVA" tower you can adjust the X (width), Y (depth), and Z (height) measurements of the building. However when building a "Round Tower", it only makes sense to change two variables: X (circumferance) and Z (height). 3. Choose your dimensions by changing the available variables. 4. The button below will give you a real-time indicator of how complex your structure is going to be. Depending on your computer, you may want to limit this. You will learn over time how many objects your computer can handle, and how long building will take. Most will take seconds. 5. To build your tower, just hit the "Build" button! You don't need to worry about any of the physics settings like mass, collision shape or margins. This is all handled for you by PhysAssist. 6. (Optional - if you would like to create a projectile to knock) Check "Advanced Settings". 7. You'll now see two new boxes. On the right, you can select which frame to fire the projectile. By default, it will fire the projectile on the first frame of the animation. 8. Once you've decided which frame to fire on, just hit "Create Projectile" to add it. 9. Hit Alt-A to see your animation come to life! If you're getting bouncy towers, or towers that fall by themselves, this can be fixed by increasing the "solver iterations". This can be done by going to the "scene" tab of the properties window, and looking for the "solver iterations" setting under "rigid body world". This is set to 10 by default, but I find that's not nearly high enough. I usually set mine at 100 to start with and increase it if necessary. 2. Make sure there aren't already baked physics settings for your scene. If there are, go to the scene tab in the properties panel and "Free All Bakes". Now go back to frame one and try simulating again. The best way get in touch is to go to my blog post at www.mobymotionblog.com/physassist and leave a comment below. I will endeavour to respond to all questions within 48 hours. Feel free to leave feedback, for example feature suggestions. This item has an average rating of 5 from 2 ratings by the community. Brilliant product, works a charm. I'm new to Blender but this allowed me to easily create and destroy structures (even round towers, which are such a hassle) - without spending ages fiddling about with the settings. Thanks to this plugin, I've managed to create very realistic simulations which I never thought I could do, or had the time to do. I don't have a very powerful computer, but I was pleasantly surprised that my PC didn't slow down or crash while creating scenes with the plugin - something which I've definitely experienced before when my structures got too complicated. Thank you, would highly recommend.